HOLD FAST 2018 Call for Volunteers! We need people of all levels of availability and experience to assist us from August 8th – August 12th. We will be having an orientation presentation (and sign-up!) 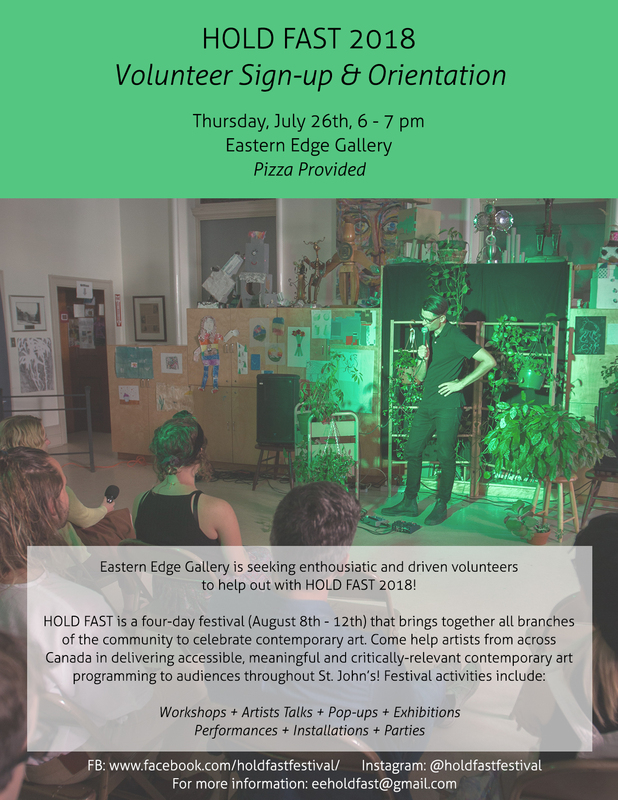 on July 26 from 6pm – 7pm at Eastern Edge Gallery – there will be pizza!